Feliz Dia De Los Muertos. I know the aesthetic of this holiday has become trendy in recent years (we called it awhile ago). Remember first that it is a happy day that celebrates the spirits of our loved ones who have come back to join us. It has roots in Mexico, Aztec and Catholic culture. The most popular tradition for the style set is the sugar skull makeup. It is a particularly artistic look where you can get elaborate with all sorts of embellishments and motifs. Youtube is full of sugar skull makeup tutorials if you need inspiration. 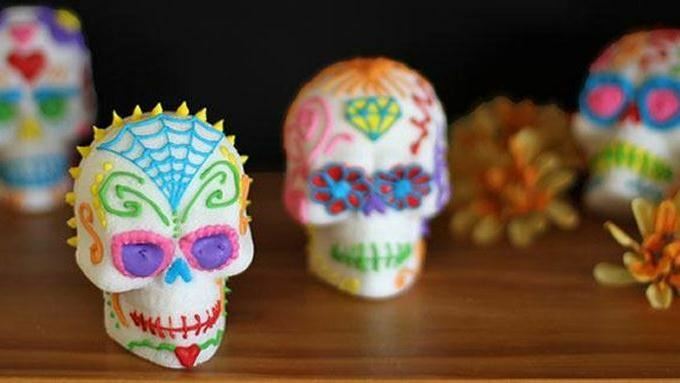 I always loved watching artisans craft the actual sugar skulls. It looked so delicate and sweet. You can try your own with these sugar skull instructions. The women who participate in traditional Dia de los Muertos celebrations don't stop at the makeup. 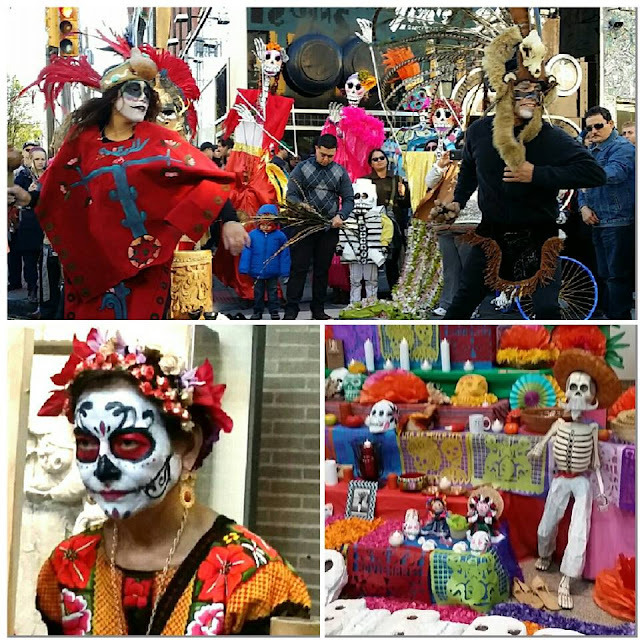 The traditional Catrina Costume includes elegant outfits of long ruffled dresses, lace and a decorated wide-brimmed hat. 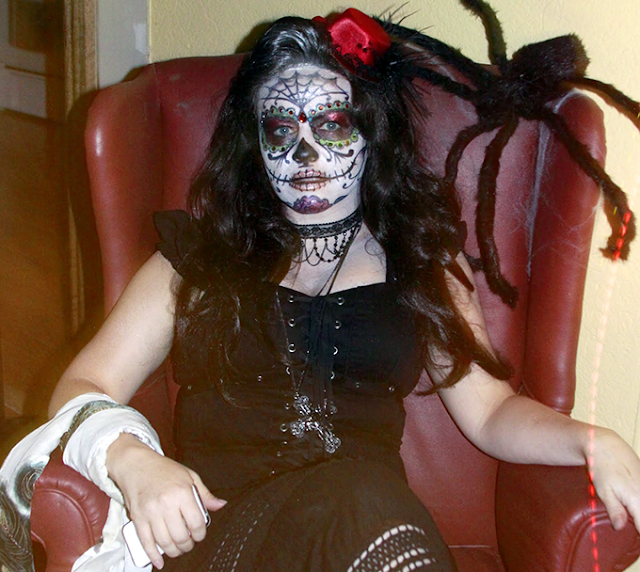 You can style our own version with this Catrina costume tutorial. Part of celebrating your past loved ones is about enticing them to share festivities with you. This is demonstrated with extravagant ofrendas. This is an altar of offerings honoring them and that includes Pan de Muertos, a sweet bread decorated with dough bones, salt. marigold flowers, paper picado decorations and mementos of the deceased. You can create your own with these Dia de los Muertos altar instructions.